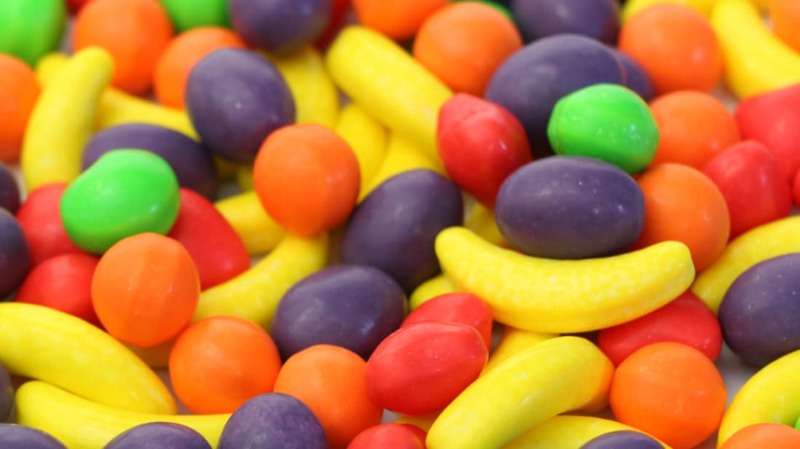 The movie Willy Wonka & the Chocolate Factory did more than give kids nearly two hours of pure imagination—it launched a candy brand that’s produced unusual, scrumdiddilyumptious sweets like Runts. In 1969, director Mel Stuart was given a lofty request from his daughter—turning her dogeared copy of Charlie and the Chocolate Factory into a vivid, full-scale production. Stuart jumped on the idea, and he paid his daughter a $50 reward, plus a one-line spot in the film. But, Quaker Oats may have landed a rough deal, because its chocolate bar project never made it to retailers. The oatmeal empire paid $3 million for Willy Wonka & the Chocolate Factory, but it could never nail down a perfect chocolate recipe for its candy bar. However, so as not to completely miss out on the candy bar craze after the film’s launch in 1971, Quaker Oats did market a kit for homemade chocolates. Quaker Oats utilized its Chicago-based candy company, Breaker Confections, to roll out two other candies around the film’s release under the Willy Wonka brand: Peanut Butter Oompas (peanut butter and chocolate drops covered in candy) and the Peanut Butter Super Skrunch (a peanut butter and crisp rice bar). With some success under its belt, the Willy Wonka brand took advantage of its fictional namesake’s quirks and began rolling out never-before seen candies, like Laffy Taffy and Everlasting Gobstoppers. By 1980, Breaker Confections officially took on the Willy Wonka Candy Company name. Two years later, it launched Runts: small, fruit-shaped candy in five flavors: cherry, strawberry, orange, lime and banana. Nestlé went on to acquire the candy company (simply renamed Wonka) in 1988, but Runts stayed on the production line unlike some other early Wonka originals. Flavors have evolved since the 1980s, introducing new fruits like pineapple and mango and nixing lime. For some time, Tropical Runts and Rock’n Runts made their ways into the candy aisle, featuring watermelon, lemon and raspberry candies. The newest Runts lineup keeps some oldies—banana, orange, and strawberry—while adding the newer grape and green apple. These small, hard-on-the-outside, soft-on-the-inside bites spun off their own candy idea for Bananarama—boxes of only banana Runts. Though, if you’re under the impression that the banana flavor is the best because of its solo status, there’s a slew of people who think the tiny, yellow candies are the worst. But, with Runts’ track record, another bite-sized flavor may just be on the cusp of Wonka's imagination.